A Gift-In-Kind donation consists of donated services or items that would normally be purchased by the NIU Athletic Department. Examples of Gift-In-Kind donations include food and beverages, athletic equipment, lodging, printing, transportation and much more. The value of each contribution is credited at the equivalent Annual Giving Level and qualifies the donor for benefits at that Annual Giving Level. All Gift-In-Kind vendors are listed as preferred vendors on www.niuhuskies.com and in our Football Game Day Program. Interested in learning more about the Gift-In-Kind program? 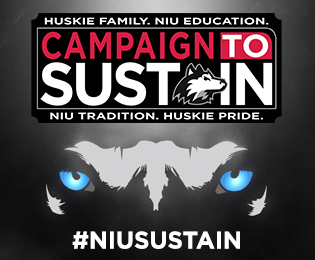 Please contact the Huskie Athletic Fund at (815) 753-1923. Thank You To Our 2017-18 Gift-in-Kind Supporters! COPYRIGHT © 2019 | ALL RIGHTS RESERVED. DESIGNED BY SUMMIT ATHLETIC MEDIA.